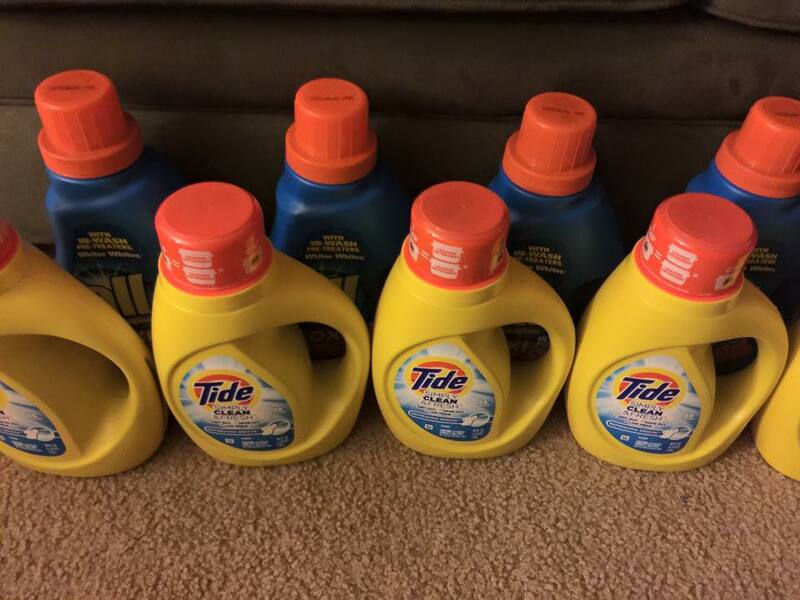 Tide and All Laundry Detergent STOCK UP Deal at Kroger! Today is the LAST day to take advantage of this Tide and All Laundry Detergent STOCK UP Deal at Kroger! I got 10 bottles of laundry detergent (5 of each) for just $19.99 yesterday! The best part? No “paper” coupons needed! You can use this coupon for up to 5 of each item!! Purchase the Tide Simply Clean or All Laundry Detergent (check the tags in store to make sure you are purchasing the correct items). Your coupons will be applied automatically at check-out! TIP: If your store does not have any Tide or All laundry detergent in stock, get a rain check! The coupon is valid through 1/25/15! 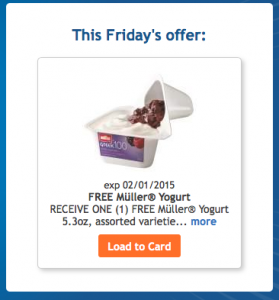 Today’s Kroger FREE Friday Download is Mueller’s Yogurt! 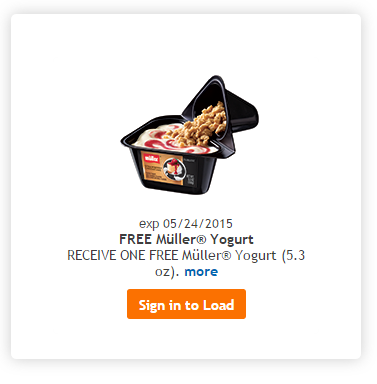 Add this offer to your Kroger Plus card by midnight! Redeem the coupon in store by 2/1/2015. When you buy this product in store and use your Kroger Plus card, the price will be deducted automatically at check-out! HAPPY FRIDAY! 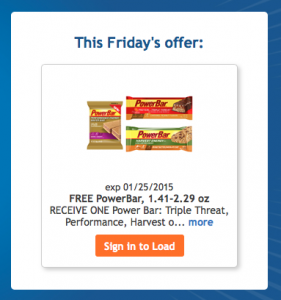 Right now, you can grab a coupon for a FREE PowerBar! 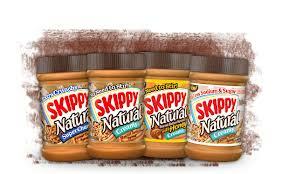 Skippy Peanut Butter STOCK UP DEAL! One of my goals for 2015 is to work on building a year’s supply of food and other items! I will be using a combination of budget friendly food storage plans to accomplish this goal. In Week 6 of this 52 Week Food Storage Buying guide, it suggests buying 10 jars of peanut butter per person. This is on sale at both Target and Kroger this week, so it’s a great time to add this one to your stockpile! KROGER: pricing may vary by location! Final Price = $1.44 after coupon and Mega sale pricing! Final Price = $1.32 after coupon and Target Cartwheel! NOTE: When deciding how much to purchase, consider your family’s needs. 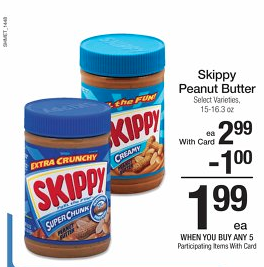 If you don’t like peanut butter or have peanut allergies, this might not be the best deal for you!